All about Anime USA 2014, our 16th year! Catch Up with Kitsune Kid! Kitsune Kid cosplaying as Wartortle. 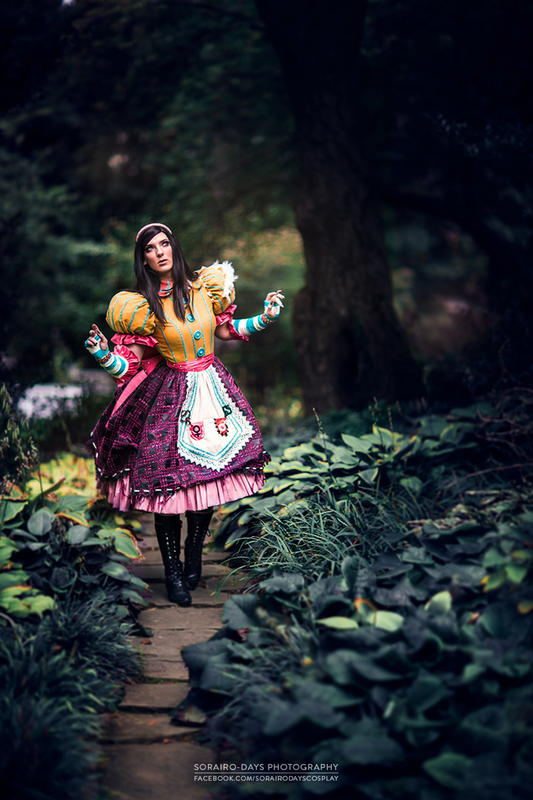 We got a chance to catch up with cosplayer, Kitsune Kid (formerly known as KO Cosplay). She was a guest at the last year’s Anime USA. See what she has to say about cosplay & more! I was watching anime with a bunch of friends in college—Tengen Toppa Gurren Lagann to be exact—and they said I should cosplay Yoko. I took their advice and wore my first cosplay—some parts made and some parts purchased/commissioned—to my first convention and had a blast. I knew I had to make more costumes. The rest is history! What is your favorite cosplay to date? What is your advice to cosplayers new to the scene? What about when making their own cosplays? My best advice is to pursue things you love and to start small. If you try to make a costume of a character you don’t love, all the labor won’t feel worth it in the end. Cosplay can be a pretty painful process, from burning yourself with an iron to the long hours of all-nighters to make the deadline. I always recommend that newbies should start small, because while taking on big projects can seem challenging, they can also be very overwhelming and discourage new cosplayers from continuing the craft. All the skills associated with cosplaying (sewing, propmaking, wig styling, hair cutting, applying makeup and prosthetics, 3D printing, etc.) will be skills you build off as time continues. Start small and build up! Who are some people that you look up to as role models? Some of my cosplay role models include Malindachan, Vampy Bit Me, Volipin Props, and Kamui Cosplay! What was your first cosplay? What have you learned since that has stuck with you the most? Have you heard about Joshua Hart of J. Hart Design? He was a guest of the past Anime USA 2014. Check out his advice for fellow cosplayers and more in this interview. Prior to my first convention, I always loved going to the Maryland Renaissance Festival; and, I absolutely treasured playing dress-up! When I was thirteen, I began to teach myself how to sew and alter clothing for these festivals. I would sew all of my renaissance garb by hand, and my free time was spent researching new sewing techniques. I began cosplaying in high school with many of my theatre friends. When they asked me to join their Final Fantasy 7: Advent Children group for Otakon 2005 in Baltimore, MD , I was immediately thrilled and excited to participate. This is an extremely difficult question to answer. All of my costumes are my children; I love them equally. But, if I absolutely had to choose, I would pick my Trinity Blood group, made in 2009 for Otakon’s Hall Costume Contest. While these costumes are not to flashiest, nor the best constructed, they hold a very dear place in my heart because these were the first costumes where I felt confident and proud to showcase my work. These costumes were far above my comfort zone, and I learned so much by making them. The main piece of advice I can give to novice cosplayers is to be proud of your accomplishments, and to refrain from comparing or judging yourself against other attendees or friends. Whether you compiled your costume from found/purchased pieces or created your costume from scratch, you have expressed passion and creativity. These are both admirable and commendable traits worthy of praise. I have always admired any talented individuals. But, my work has always been shaped by Christian Dior, Coco Chanel, Zac Posen, and Alexander McQueen. While they each have their particular styles, I have always admired their sense of proportion, silhouette, and minute detailing. I have pushed myself, over many years, to produce garments that are crafted as beautifully as their garments. I am still hoping to achieve this goal. As previously mentioned, my first costume was Cloud from Final Fantasy: Advent Children for a large group with my friends. Looking back, the finished costume was a mess! But, the experience, creativity, and comradery has stuck with me ever since! Over the years, I have learned that patience is the key to a successful, finished product. I can guarantee that sewing is time consuming, stressful, fussy, and expensive. But, by calming your frustrations, you will work more efficiently, skillfully, and cautiously. This will result in a better looking garment, and a happier, more confident cosplayer! Check out the Post Con Report from the Anime USA Podcast! Hear about some of our events and panels, topped off with the last news from Japan! Originally we posted that the debut of a new dubbed episode of Sailor Moon Crystal would appear tomorrow. That was inaccurate! We will be debuting a re-dub of the ORIGINAL Sailor Moon anime Sunday in Room: Video 3 (Maryland A), starting at 1:00pm! Please come and join us for this wonderful redub! We’re excited to share this weekend’s schedule with you. For those that are coming in tonight, check our special programming. View the schedule directly on your mobile device and create your own personal agenda here. 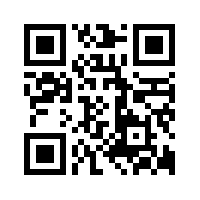 Or download the Pocket Guide (in PDF format). See detailed descriptions of the panels here. We’re pleased to offer alternative membership options for those that may not be able to join us for all three days of Anime USA 2014. See you soon! Also, Artist Alley and Dealers Room maps are now available on their respective pages. Check it out! Head to Anime USA 2014 with Uber! Need a ride to Anime USA 2014? Uber’s got you covered! 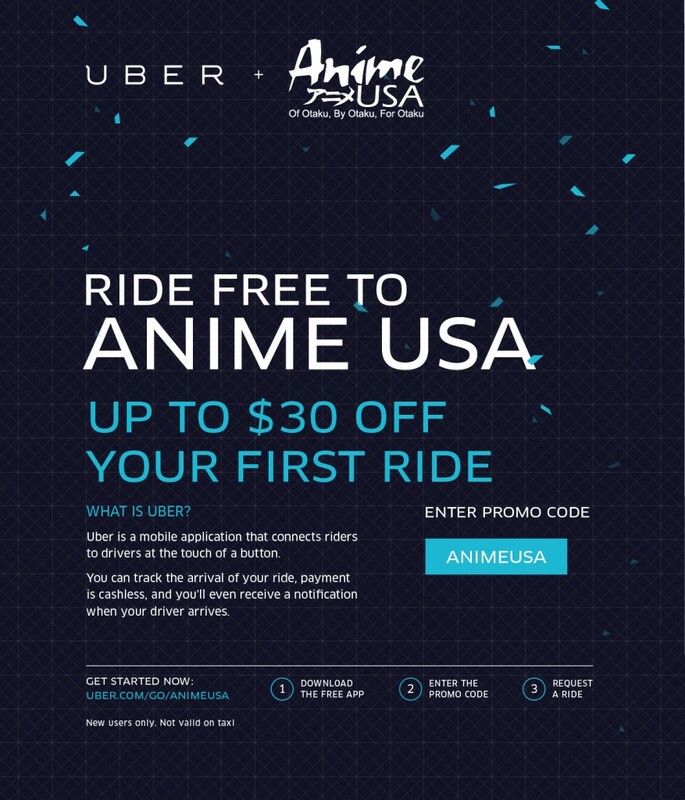 Sign up at www.uber.com/go/AnimeUSA now and get up to $30 off your first ride. Make sure you use promotion code, AnimeUSA. This offer is available to new Uber sign-ups only. This offer is not valid on uberTAXI. With merely a week away from the con, we get down to more news and awesome stuff from Japan!